Your work is to write latest tech news or technology articles on our blog. 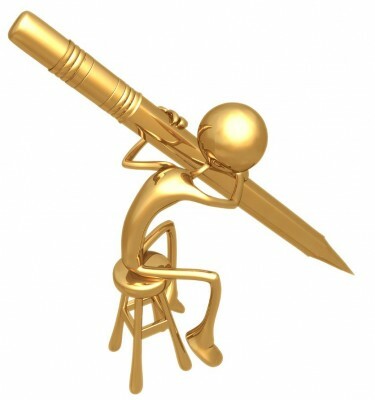 We’ll provide you news stories or topic, you’ll have to write it in your own words and in your own unique personal style. You should have the ability to work in stressed or time-constraint conditions as well. Good English writing skill is indispensable. You’ll have to write atleast 4-5 posts daily. Work from home, but dedicated to our job only as we want you to be available all the time while you work so that we could easily communicate with you. This is home based job so you need to have access to computer and internet. Working from the comforts of home has its own delight! Starting Salary : Rs.10,000 INR – Salary is negotiable. Based on performance and experience, promotion and salary bonus can be expected. Sent you email with further details..
with due respect I want to say that I am an engineering student, from Bihar, studying in S.I.T Tumkur, Karnataka. I recently came up with your notification on facebook and I am interested in writing about the new technologies . For this purpose we are coming up with our own website in the next month. Hence , I request you to grant me an opportunity to do this for our state’s development. Hello,I am rabi from Assam,an student,nd I really want to join this blog bcoz I m mad for new tech nd I always keep my eyes on innovative launching tech. I’ve mailed you the required details.. Check it and reply via mail.. I want to work with you…sir..
Would like to work with you…certainly and looking forward to this alliance as writing skills have always been my forte’ although never had a good platform. I am interested in writing about the world’s latest technologies.As i am an engineering student and fond of writing, so i am eager to work with you. It would be easier for me if you kindly send me the details about it. We’ve forwarded job details to your email address.. Thank you for offering such a nice offer…. Recently i am working with one of the leading English news paper and write the article about event and lifestyle section. I would like to associate with you. .
I’ve mailed you job details… All the best! Kindly mail me the details too. We’ve emailed you required job details..
writing is my soul and I am keenly interested in working with you. We’ve forwarded all the details to your email.. Check it and act accordingly.. Please could provide me the details as I am getting more intrested in such stuff. can you please forward me the details..? Im also interested… Provide me details ? Details sent at your email..